A New York witness at Owego reported watching and videotaping a disc-shaped UFO crossing the sky silently, according to testimony in Case 51482 from the Mutual UFO Network (MUFON) witness reporting database. The sighting occurred about 1 p.m. on October 12, 2013, when the witness observed what appeared to be a disk-shaped object flying from the northeast and moving over Owego. 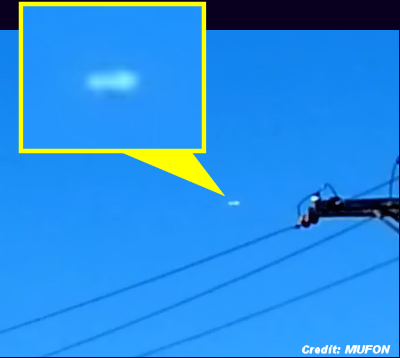 The witness uploaded a 22-second video taken on a camera phone with the report, which was filed with MUFON on October 12, 2013.